While traditional studies of dress and jewelry have tended to focus purely on reconstruction or descriptions of style, chronology and typology, the social context of costume is now a major research area in archaeology. This refocusing is largely a result of the close relationship between dress and three currently popular topics: identity, bodies and material culture. Not only does dress constitute an important means by which people integrate and segregate to form group identities, but interactions between objects and bodies, quintessentially illustrated by dress, can also form the basis of much wider symbolic systems. Consequently, archaeological understandings of clothing shed light on some of the fundamental aspects of society, hence our intentionally unconditional title. 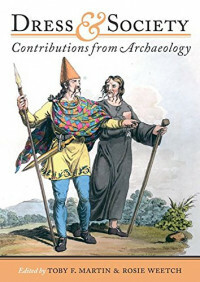 Dress and Society illustrates the range of current archaeological approaches to dress using a number of case studies drawn from prehistoric to post-medieval Europe. Individually, each chapter makes a strong contribution in its own field whether through the discussion of new evidence or new approaches to classic material. Presenting the eight papers together creates a strong argument for a theoretically informed and integrated approach to dress as a specific category of archaeological evidence, emphasizing that the study of dress not only draws openly on other disciplines, but is also a sub-discipline in its own right. However, rather than delimiting dress to a specialist area of research we seek to promote it as fundamental to any holistic archaeological understanding of past societies. An in-depth look at how to create and use key performance indicators (KPIs), from the King of KPIs – now updated and expanded!